There are a couple of questions I get asek on aregular basis. 3 times this week already. Let me start by saying that there are other control softwares out there, so are good and others not so good but the only ones i can really comment on are the ones that I have tried which I why this video is limited to the 2 options. This is my thoughts on the 2 softwares and why I changed from one the the other. I leave it to you to decide what is right thing for you. The recent issue with Mach3 is a timely reminder that your machines PC should have updates turned off. Windows has a nasty habit of updating when and where it feels like it and if you are in the middle of a cut then too bad. I you want to have a play with UCCNC to see what it looks like you can download the software and when it open it will ask you to select a motion controller. It will then run as if it has the chosen motion controller installed and you can get a feel for how it runs and configures. Until you but a licence for your motion controller it will not run your machine. UCCNC can be downloaded here. If you are interested in the Screenset mentioned in the video you can find it here. Gerry has a knack of making Screensets that are clean, easy to use and has added some nice probing routines to his screenset. Should you find you want to change a particular key or script to something that suits your personal requirements then there is no issue and you can easily make your required changes. This is where I purchased my UC motion controller from and they were very helpful so if you are not sure about anything just ask. They were good enough to see that I had missed out a critical piece in my order and alerted me to it. We got is sorted there and then, otherwise I would have received it and had to order the additional parts after realizing my mistake. When you select your motion controller of choice you will get the opportunity to bundle it with a UCCNC licence which was cheaper than purchasing both items individually. There are of course other suppliers around the world but I caution you to purchase from a reputable dealer. Be careful if buying a UC100 as there have been instances of fake UC100's being sold on Ebay which do not work. You have been warned!!! Please also be aware that the UC300ETH requires to be attached to a motherboard to work. This can be in the form of a 5LPT board as I have with mine or a 3rd party board which will give additional features like built in relays etc. When purchasing a UC300 ask the supplier to explain the additional board options so you can choose the one that suits you the best. Don't forget to buy any ribbon cables to D25 you might need to plug into your Stepper motor drives. The UC400 is a nicely presented ethernet motion controller which gives 2 parallel ports. Just remember to purchase the ribbon cables to convert from DIP to a D25 when you purchase this. Yes, I did say that they are almost impossible to come by but before anyone says they can get a PC or even a laptop with a parallel port 2nd hand, I am talking about new PC's not old ones. There are still PC's with parallel ports on the 2nd hand market but they won't be there forever and sooner or later you will need to move with the times. Parallel port monitioring and pulse generation is a time consuming task for the PC and in addition it has to put up with the constant dribble that Windows thinks is important. 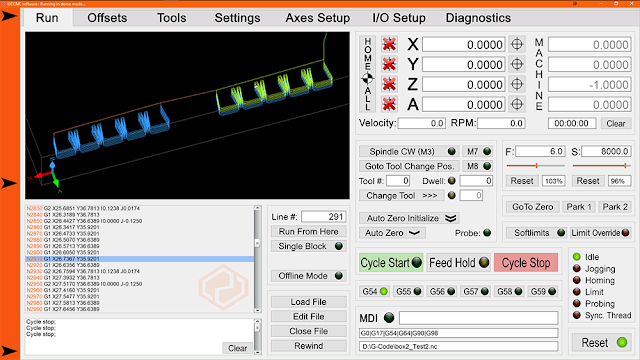 Windows is a truly horrible platform to build a realtime application on like a CNC machine and it is a marvel to me that Mach3 and the others do it so well. I take my hat off to them. Changing to a motion controller removes the need to generate pulses and monitor the pins for signals and allows it to get on with the rest of the job. This reduces the load on the processor and things run better. Well that is enough from me for this video. Please feel free to comment and share and I will see you next time. Great video Peter. I was going to ask you about UCCNC and you have made a fantastic video. I already have a UC100 just need the the software. 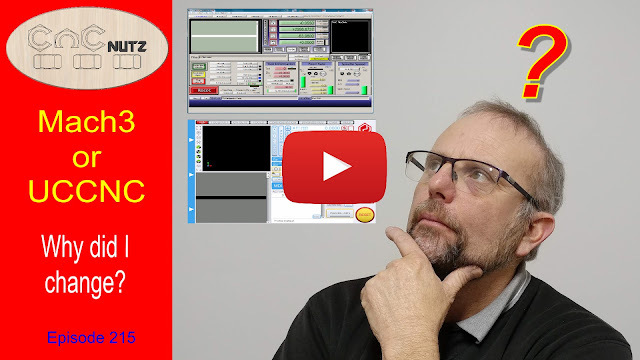 Hello, thanks for your videos and posts those are really helpfull, i just find out your Youtube channel and blogs and keep reading and watching, if you didnt cover the topic which is paralell port/serial port cnc controller prons and cons, it will be helpful too. Thanks a lot, im really glad to come across your topics. What would you consider to be a serial port CNC controller? Do you have a link?